This book presents an important discussion on soil and sustainable agriculture from a range of perspectives, addressing key topics such as sustainable intensification, the FAO Voluntary Guidelines, and the crucial role of appropriate tenure rights. 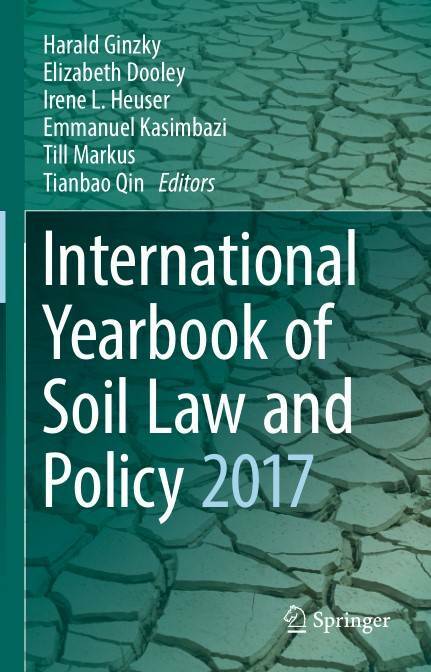 This second volume of the International Yearbook of Soil Law and Policy is divided into four parts, the first of which deals with several aspects of the theme “soil and sustainable agriculture.” In turn, the second part covers recent international developments, the third part presents regional and national reports, and the fourth discusses cross-cutting issues. Given the range of key topics covered, the book offers an indispensible tool for all academics, legislators and policymakers working in this field. 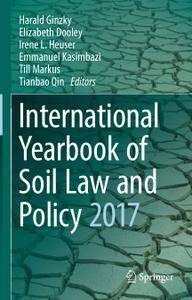 The “International Yearbook of Soil Law and Policy” is a book series that discusses central questions in law and politics with regard to the protection and sustainable management of soil and land – at the international, national and regional level.